Rose pink with a toothy gold edge and pale cream midribs, Rogue has a pale yellow throat that leads into it's apple green heart. Northern bred (upstate New York) Rogue is perfectly winter hardy in Canadian gardens. While it has a very attractive flower with heavy substance, it's major strength is it's incredible budcount on well branched sturdy & upright scapes. 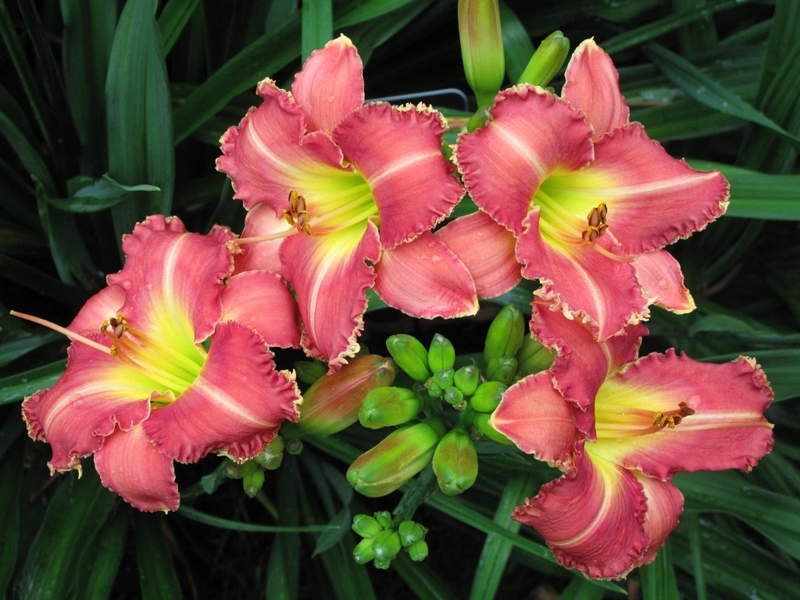 Add in it's great foliage and Rogue becomes a daylily that has it all, and deserves a showpiece location in the garden.